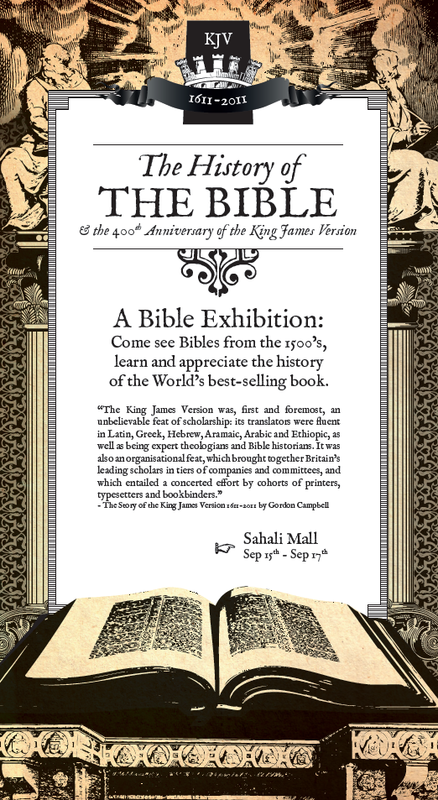 The King James Version of the Bible, also known as the Authorized Version, was released in 1611. 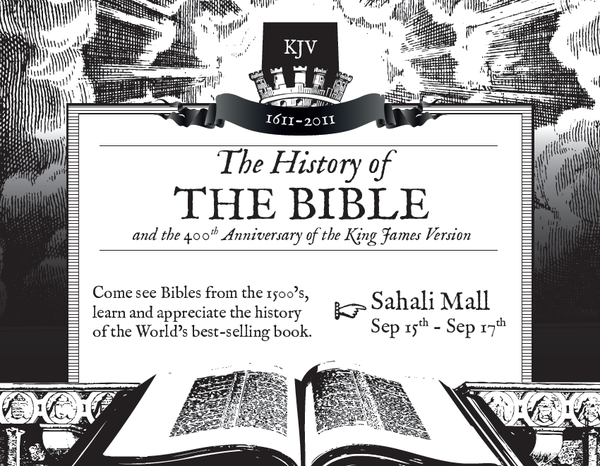 As a result this year marks the 4ooth year anniversary, and as a result our Church decided to put on a Bible exhibition to try to educate people in the Bible, where it came from and dedication made to preserving it through the ages. We were fortunate enough to have access to some bibles that were from that time period and older that we could put on display. Being one of two designers in my church, we worked together to help advertise this event, the following items on this page are the things that I had the opportunity to work on. Overall it was a very rewarding experience that I learnt a lot from. I have gained a renewed appreciation for type, where it comes from, hand lettering and illuminated manuscripts. 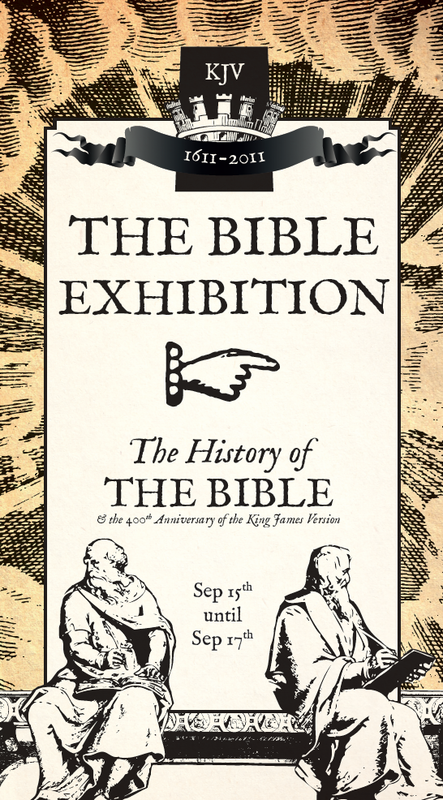 A majority of the design is based around one of the carpet pages of the original printing of the King James Version of the Bible. The main typeface used was IM Fell, a fantastic recreation of some of the original biblical lettering.